50-year-old designs like this will still be sold everywhere in 2020. So 2010 is behind us and with it the first decade of the 21st Century. 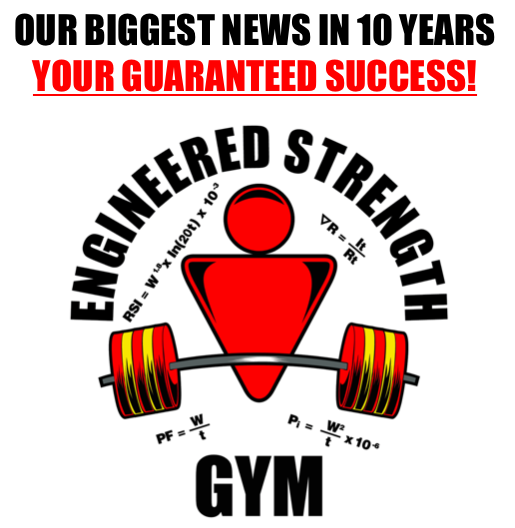 Now we are but a few days into the next decade of the century, so I figure I’ll stick out my neck and make some predictions about what will happen over the next ten years in the world of strength training. 1. Crappy exercise machines that sold the past decade for under $100 will, by 2020, be under $200. These machines will still be noteworthy for their complete inability to add any progressive overload if the trainee’s strength improves. Which it won’t. Many of the crappy machines will literally be designed to make an exercise easier and less work for the target muscle than would be the case without the machine. 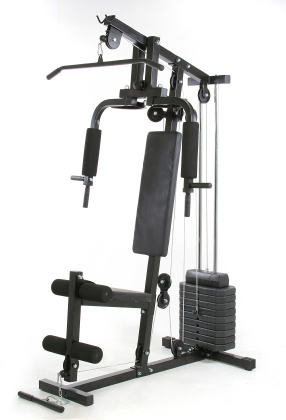 Thus, some crappy machines will actually have the ability to reduce strength and muscle mass. But they will cost more in 2020. 2. Thanks to the very powerful nutritional supplement lobby in the US and bought-and-paid-for senators like Orrin Hatch, (and his supplement lobbyist son) the world will continue to be flooded with very expensive food ingredients sold with extravagant and unproven claims of effectiveness. The billions made from this industry will funnel millions back to US-politician’s campaigns thus creating a perpetual cycle of legal theft from gullible citizens. I stress this will be legal. Not moral, but legal. 4. Strength training equipment like the one in the photograph accompanying this post will continue to be sold, virtually unchanged from it’s 50-year-old design. Yes, while every other industry and human endeavor is being revolutionized by new technology, weightlifting machines will continue to have no silicon in them. No WiFi or Bluetooth, no USB ports to download the copious data from your workouts – nada. People will continue to train blindly and without the benefit of even basic computer technology. Take a close look at the machine in the photo – a machine typical of what you can buy in any sporting goods store in the world – and tell me what part of that machine could not have been built in 1810 – two hundred years ago? Plastic pulleys would be iron. Aluminum cable would be steel. Vinyl seat would be horsehide. I think I’d prefer the 1810 machine. It sounds more durable. Happily, cardiovascular training will benefit from high-tech devices that measure distance, time, elevation, acceleration, cardiac function, oxygen levels, and much more. These devices will be small and wearable and will operate on sophisticated software that will analyze dozens of aspects of performance, progress and recovery. In 2020 strength training alone will use technology still recognizable to Abraham Lincoln. 5. Point (4) notwithstanding, a Static Contraction exercise machine will debut this decade and it will challenge the premises that have dominated strength training for many years. It will have the ability to measure and analyze aspects of momentary and sustained strength with resolution of milliseconds and to measure forms of muscle action that have never been studied before. The data gathered from thousands (eventually millions) of trainees worldwide will garner unprecedented insight into what tactics work for individual circumstances of gender, age, general health and innate adaptability to exercise. All strength training strategies will become specific to the individual after the Static Contraction machine debuts. No major component of the machine would have been possible in 1810. Those are my prognostications for the coming decade of strength training. As you can glean, I don’t have much confidence in change or improvement beyond the advancement of a world-class measuring device coupled to great software. But once that arrives – stand back and watch the leaps and bounds in human strength training and injury rehabilitation! Pete, first of all I want to compliment you for the work you've done all these years. Rational and logical approaches like yours will help advance the industry out of the shambles it is in now. We are working on implementing technology into exercise equipment much like what you are discussing in this post. Although static training can be implemented using the CZT Fitness System one could also perform negative only, hyper reps, partial reps, etc. All of the workout information is stored and can be used for monitoring program progression. Thanks, Mark. Thanks also for the private e-mail you sent me. As I understand it, your company’s business model right now is to create facilities where users can access your machines and that this equipment is not intended to be sold to the home-user. I think there is a market for that type of facility and I wish you every success. We need more voices out there talking about science and measurement. Arthur’s MedX testing machines did this purpose well, but unfortunately were way too costly and complicated to use to be practical in a typical gym setting, much less the home. And while counting reps or using a stopwatch are a whole lot better than nothing, with all the variables affecting performance it is still somewhat subjective. Consider just the variable of rep duration. A one second difference (1/2 second difference in the positive and negative) won’t make any significant difference in the force encountered over the ROM, but if a person does 10 repetitions at 6 seconds a rep one workout (60 sec TUL), and the next workout gets 11 reps at 5 seconds each (55 sec TUL) did he improve or regress? Obviously, reps and TUL both leave something to be desired. What really matters is the force a muscle can produce – if you’re stronger you can produce more, weaker, less – and to really be able to measure progress you need to be able to measure force. Not guesstimate it by by counting reps or measuring time with a particular weight, but actually measuring the amount of force the muscle is capable of producing. Any machine that does this is a huge step in the right direction and will make a huge difference in people’s results because it will allow them to determine far more quickly what works for them so they can optimize their training. I agree, Bent. Training at home has big advantages, especially time-efficiency. And I love efficiency. All this would be more impressive if static contraction trainng worked. I enthusiastically followed the protocols–like many others have–with nothing remotely resembling the published results. Ended the sequence with no more full-rep strength than before, and no increase in muscle mass. Brian, your remark is a little over-broad to say the least. As you can easily learn from the many conversations going on here Static Contraction works just as we say it does. Did it ever occur to you that you did something wrong? How else would you explain it working for thousands of other people but not for you? Is that something you can admit to yourself or is your first and only reaction to accuse me of selling something that does not work as I say it does? 2. 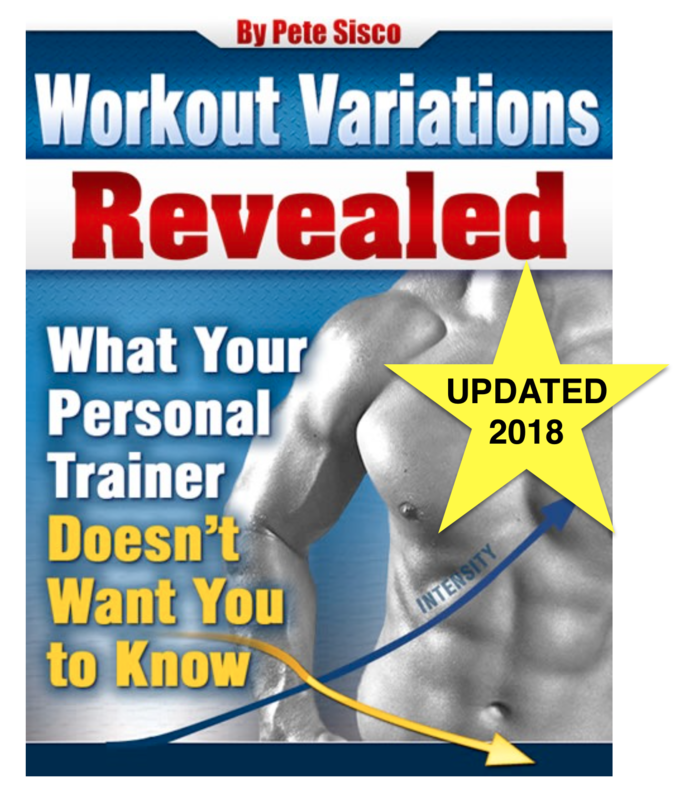 The program measures the progress of every exercise so that every time – every single time – you perform an exercise you immediately know whether or not your strength increased. That degree of granularity allows a person to spot a problem and correct it immediately. Did you make those corrections? 3. I never tell people – ever – that they should do SCT in order to increase their full-range strength. a) If you need to have maximum full-range strength (e.g. a competitive powerlifter) that is how you should train. Likewise if you need to throw a baseball faster, you need to do exactly that many thousands of times. b) Performing maximum lifts in the weak range is not a wise thing to do and I never encourage it. I urge you to take another look at your training, what other activities you mixed with it, what numbers you wrote down after every workout, how much rest you took and what you were eating the whole time – all before making accusations on my blog. Hi Pete, I love your exercise, I bought your ebook years ago. I learned your principles and yes they work. I became a celebrity in my local gym. I attracted so much hate too. The guys would not understand were the power came from, I brought my sisters and nieces to the gym with me, they became so strong that the guys passing by kept scratching theirs eyes in disbelieve. One old men told me that I had eleven invisible guys beside me because I lifted eleven times heavier weights than him. I told him hey man, I am no ghost. One 60 year old lady became so energized she wanted me to be her personal trainer, she always sneak a 20 dollars bill in my pocket. I said I am not doing this for money and she insisted I wish I could afford more. All the people I trained had their pants falling on the third day, this burns so much fat, it is believable. My niece started to drop her pants 3 days later. I used the system in a total body workout, I did a sheet on excel software, the people increased their strength about 15 to 20% per session, they became real strong. I always do static contraction now. I will build a hydraulic machine one day. I plan to have a machine shop in the future. Thanks man, great work. Thank, Ricardo. Great to hear you keep track of everything on a spreadsheet; you’re my kind of guy. Haha. Keep up the good work! I am a 76 year old, retired corporate executive. (5’ 9/ 155 lbs). Like Gregg, I was a “sturdy” child, never very athletic. My first real physical training was in the Canadian airforce (RCAF). After college I moved to California, and got into volleyball on the beach, and body-surfing, which kept me moderately fit. My work moved me to Phoenix, and away from my exercise, so I started the RCAF “5BX For Men”. Later I was moved to Europe, and finally got into weight training and regular jogging. My goal was not great athletic ability or strength, just basic fitness. Skiing, hiking and backpacking were added for fun. In subsequent years, as I moved around the world, I went off and on weight training, maybe a little more on then off, but always 3 sets of “n” reps, 3 times per week. I also ended up with a pacemaker, so have substituted walking briskly for jogging. I came across Pete Sisco and static contraction about 3 years ago, but never had appropriate equipment. Then in Nov. 2009, after several months “off”, I had a bad fall and injured my upper back and neck. As therapy, I was introduced to “Super-slow zone” training, using MedX equipment, and decided I would try that for some months to restore basic strength, and then try static contraction. The results have been quite interesting. ** The max. weight on the machine is 620 lbs. I now do 2 SC for 10 seconds each. Since adding SC, leg press SS progress has slowed, but maybe I am maxing out. For the other exercises it seems that SS progress has accelerated since adding SC. On the chest press I never got above 170 lbs before in my life. I have neither gained nor lost weight. Push gains more than pull. I think the SS full range of motion, to fatigue the weaker muscles, and then the SC to fatigue the stronger muscles, may be an exceptional method for full training. Thanks, Murray. And may I say, those are all respectable weights for any man, but at 76 you are distinguishing yourself. And maintaining your weight at your age is a victory. My issue with Super Slow is that it takes so long to complete a workout. One of the principle values of Static Contraction training is it’s blistering efficiency. Five seconds and you’re done with a muscle group. Whatever value (if any) of then doing and additional 5 or 10 minutes of work will certainly deliver a disproportionately lower return on investment. That is, 10,000% more effort for perhaps some – but quite likely zero – additional muscle gain. However, as I’ve said elsewhere, if you have a personal need for maximum full-range strength (e.g. are a competitive powerlifter or Olympic hopeful) then you have no choice but to train that way. Thanks for the reply. Super-slow is only 20 minutes twice a week, for 14 exercises. I only do the static contraction for the 5 the therapist considered safest. Exercise time, ignoring machine set-up etc, is typically less than 2 minutes per exercise. Compared to 5 secs, I agree that’s a long time, but it’s only 20 times not 10,000% more. Static contraction by itself doesn’t seem to fatigue the smaller support muscles in each muscle group, so I think both is better than either by itself, but I have no controlled experimental data to prove it. It just seems logical to me. That said, I’m amazed at the static contraction total weight and progress on “push” type exercises. I stand corrected, 2,000% more, not 10,000%. You’re right, we’d need a controlled study to know whether it’s better to add the extra 2,000% of exertion. In any event, keep up the good work. or is something else causing that kind of muscle soreness even though solid strength increases with SC are undeniable? Great stuff, Dave. You might also want to try a variation where you do as many 5-second holds as you can in three minutes. Keep up the great work! BTW, here are some ‘cheats’ that might help you circumvent those insufficient machine weights. Thanks Pete. I’ve read that article already on the cheats and I’m a bit leery to try using one leg for press or toe lifts. Seems too easy to injure the back, I tried it a few times previously and just didn’t feel comfortable. I’m waiting anxiously for that SCT machine, hope someone comes out with something very soon. Great points in your article about the lack of new technology for strength training compared to cardio. I’ve been picking up weights for 45 years, now, and I’ve had to undergo a number of surgeries and developed arthritis from the wear-and-tear of powerlifting and contact sports, plus over-training. While I haven’t been able to do a few exercises exactly as prescribed, I have noticed that my strength has improved dramatically and I’m spending less time in the gym. I seem to get fully recuperated before I attempt another workout of that nature, for those muscle groups. I probably have to be more careful than younger lifters these days, but the concept still works. All you need is load, do do do do do… all you need is load, do do do do do… all you need is load, load; load is all you need…. If you only track your load on an exercise not only is it enough information to measure progress but it also strongly discourages rhabdomyolysis-inducing behavior; elegant, no? No. Load is not intensity. Intensity is total load divided by total time. Sorry to hear that. You need it give it a rest for sure. And you need to seek the advice of a qualified doctor, which I am not. Good luck. I understand the principles of static contraction and would like to try them, my problem is that I live in a very rural area with no access to a gym with decent equipment or weights. At present I just use isometrics and run which keeps me in shape. But I want to increase my size signifcantly, I don’t really have the space at home to have a conventional gym, not that I would want one. My question is how long do I and many of your followers have to wait until we will be able to buy a Static Contraction Machine ? Matt, I do not have an answer for that. As soon as I know I’ll pass it on to everyone.